Join Hope Allen, Chamber President/CEO for an informal, fast paced, presentation about the North Tampa Bay Chamber. Gain valuable knowledge on working with the Chamber to grow your business through monthly networking opportunities and events. 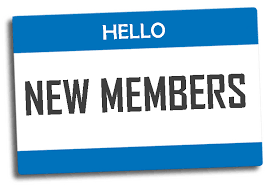 There is no fee to attend membership orientation. Thank you Cracker Barrel Catering for providing breakfast Our New Members Orientation!!!! RSVP is mandatory - space is limited!